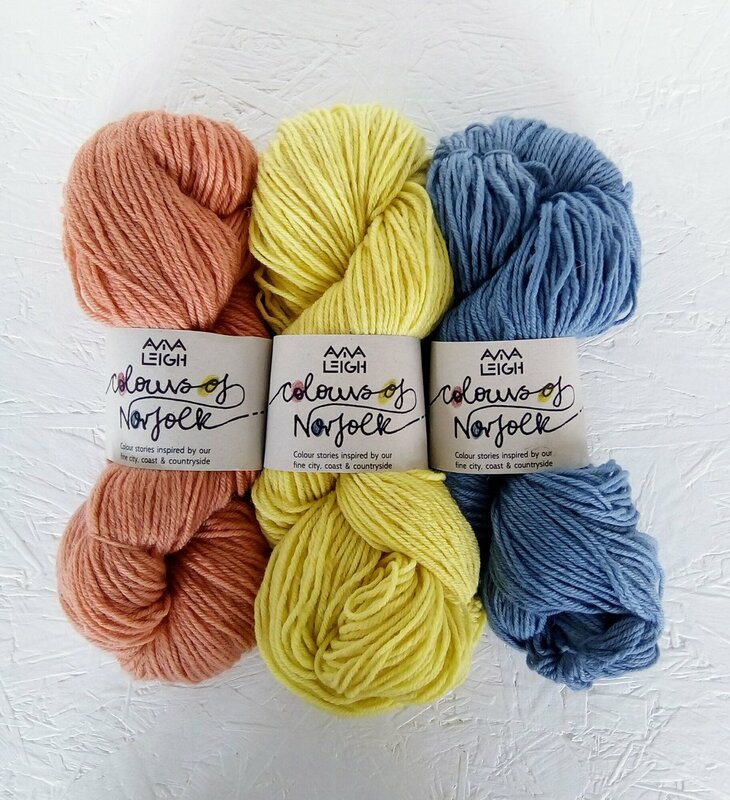 Introducing Colours of Norfolk - a collection of plant dyed yarns and fabrics for your textile projects. Yarns in a range of thicknesses, from Lace weight to Aran and Chunky, beautiful natural colour for your special knit, crochet or weave projects. You can also pick up a pack of colour-themed dyed fabrics and trimmings for stitch or patchwork.